Ronda Rousey has the net worth of $12 million. Her earnings included $65,000 to show up and $65,000 for winning. She also earned around $1 million as a Pay Per View bonus. It is reported that from June 2014 to June 2015, she earned around $6.5 million in endorsements which includes Carl’s Jr, Metro PCS, Monster Headphones, and Reebok and prizes. In 2015, she earned around $14 million in PPV money, several media appearances, endorsements, and prizes. Ronda Rousey earned $1.35 million from UFC 157, $1.5 million from UFC 168, $1.65 million form UFC 170, and $1.8 million from UFC 175 as a salary and bonus.In 2016, she was paid $3 million for the fight against Amanda Nunes even though the fight only lasted for 48 seconds. 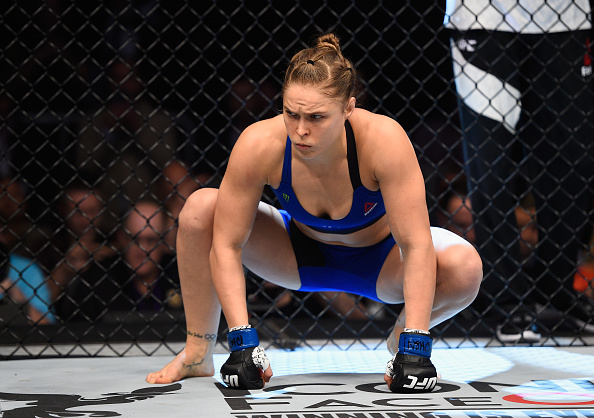 Rousey earned around $217,000 per second from the fight against Bethe Correia in UFC 190. On August 6, 2010, Ronda Rousey made her mixed martial arts debut as an amateur in which she defeated Hayden Munoz by submission and grabbed her victory by way of armbar in 23 seconds. On November 12, 2010, she entered the quarterfinals of the Tuff-N-Uff 145 lbs women's tournament in which she defeated veteran Autumn Richardson by way of an armbar in 57 seconds and entered semi-finals. Then on January 7, 2011, she defeated Taylor Stratford in the Tuff-N-Uff tournament semi-finals by technical submission by the way of an armbar in 24 seconds. She then announced her plans to turn as a pro and was replaced in the tournament. She had a perfect 3-0 record in amateur MMA competition, and her combined duration amateur fights were under 2 minutes. On March 27, 2011, she made her professional mixed martial arts debut by defeating Ediane Gomes by the way of an armbar in 25 seconds at King of the Cage: Turning Point. Then she faced kickboxing champion Charmaine Tweet and defeated her with an armbar in 49 seconds in an MMA bout at Hard Knocks Fighting Championship: School of Hard Knocks 12 on June 17, 2011, in Calgary, Canada. On January 28, 2018, she confirmed herself that she was joining World Wrestling Entertainment with a surprise appearance at the WWE women's Royal Rumble match. Currently, she is performing at WWE on the Raw brand. 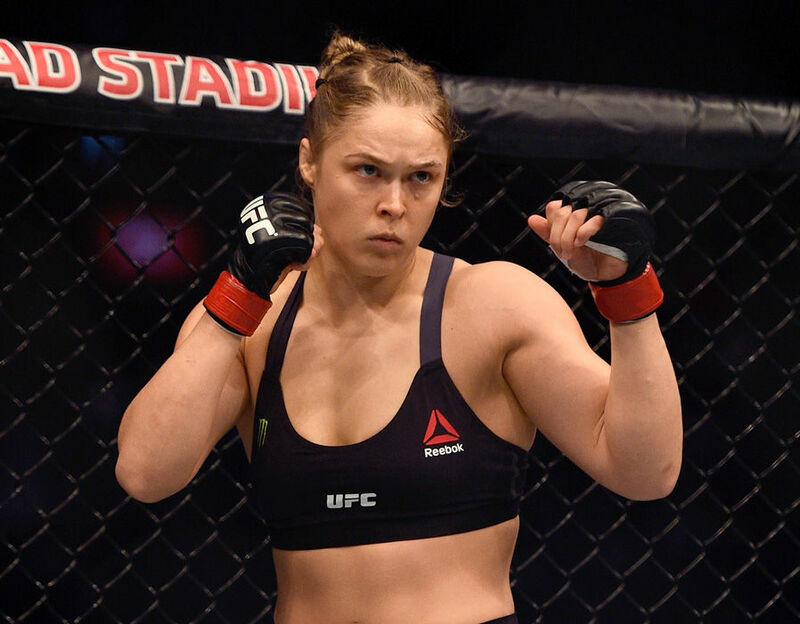 Ronda Rousey was born on February 1, 1987, in Riverside, California as Ronda Jean Rousey. She was the youngest of three daughters of AnnMaria De Mars and Ron Rousey. For the first six years, she struggled with speech because she was born with her umbilical cord wrapped around her neck and could not form an intelligible sentence due to apraxia which is a neurological childhood speech sound disorder. It was hard for her to study in class so she was homeschooled for parts of the elementary and high school, but she found an outlet for her frustration when her mom persuaded her to learn judo. Her mother began to train her daughter in some of the sport's fundamentals especially the dreaded armbar which is used to pin an opponent to the mat. Ronda Rousey had dated UFC fighter, Brendan Schaub. On August 2015, she was rumored to be in a relationship with UFC fighter, Travis Browne. Then Ronda Rousey announced publicly that she was dating Travis Browne. Then on April 20, 2017, Rousey and Browne announced their engagement. Travis Browne proposed to Rousey under a waterfall in New Zealand and got married on August 28, 2017, in Browne's home state of Hawaii. 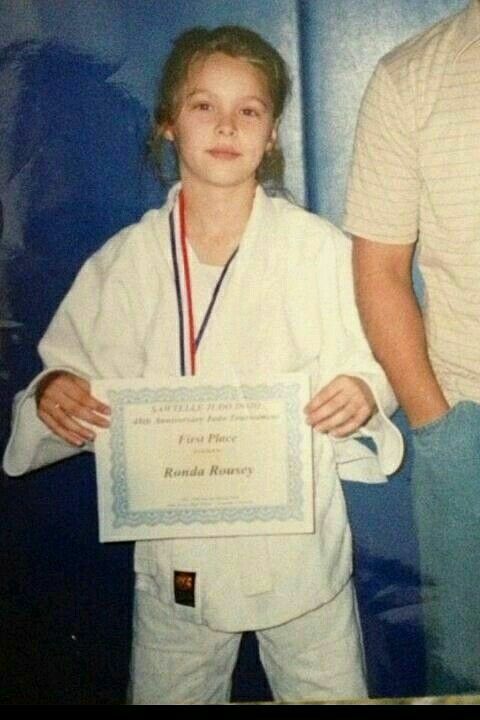 Ronda Rousey looks fund of using social media sites. She has tweeted for 13.8K times, has 3.59M followers and has 2,358 likes on Twitter. She has 10.1M followers, 1,271 followings and has posted for 2,465 times on Instagram. She has 11,197,951 followers and 11,282,976 likes on Facebook.